What You Should Look for While Choosing Yoga Schools in India? Home » best yoga schools in india » rishikesh yoga school » yoga school in rishikesh » yoga school india » yoga schools in india » yoga schools in rishikesh » What You Should Look for While Choosing Yoga Schools in India? To enroll yourself in a yoga school in India is a great way to learn authentic and traditional yoga. One of the best things about learning yoga in India is that you learn from the source and you will come across yoga experts and professionals that have incorporated yoga as their way of living. Hence, you can learn much more from their experiences and knowledge. Some of the best yoga schools in India also offer you courses that are internationally recognized which allow you to return home and start your own yoga school or take up a job as a certified yoga teacher. However, there’s much more that you need to look for when you are looking for yoga schools in India. 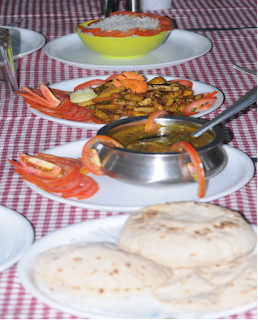 When you are heading for yoga training in India you need to look for schools that offer decent accommodation and food. Since yoga training and certification usually takes 4 weeks, you will be required to stay in the school on your tourist visa. The school should offer you a pickup service right from the airport which ensures that you don’t have to worry about how to get to the school. Most top yoga schools in India do offer yoga materials, props, and accessories, but you may want to check if you can bring in your own. Kaivalya Yoga School is a well known Rishikesh yoga school that offers all the comfort and course material and accessories that you’ll need to get started with your yoga teacher training in India.